Registration is underway for the 2017 AHR Expo. The event, predicted by officials to be the West Coast’s largest HVACR event ever, will be held Jan. 30-Feb. 1, 2017, in Las Vegas at the Las Vegas Convention Center. The annual showcase of the industry’s latest technologies will feature more than 2,100 exhibitors from around the world. Registration currently is free. A $30 fee will be charged beginning in January. 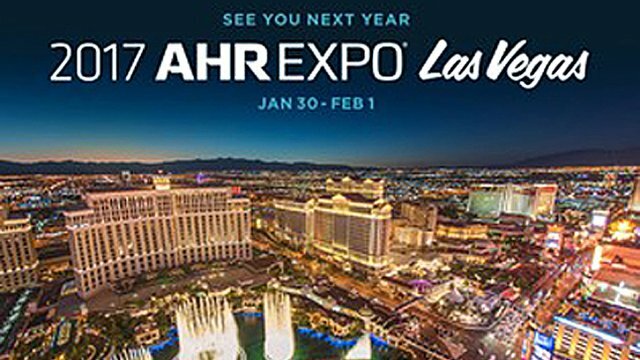 AHR, hosted by ASHRAE, is designed for professionals involved in the industries of air-conditioning, heating, refrigeration, ventilation, plumbing, building automation and control, radiant heating and hydronic systems, plumbing products, tools, instruments, software and business support services. Total registered attendance for the 2016 AHR Expo in Orlando was 60,374. The registered visitor attendance was 42,396. Some 2,063 companies exhibited, covering 469,540 square feet of the Orange County Convention Center.